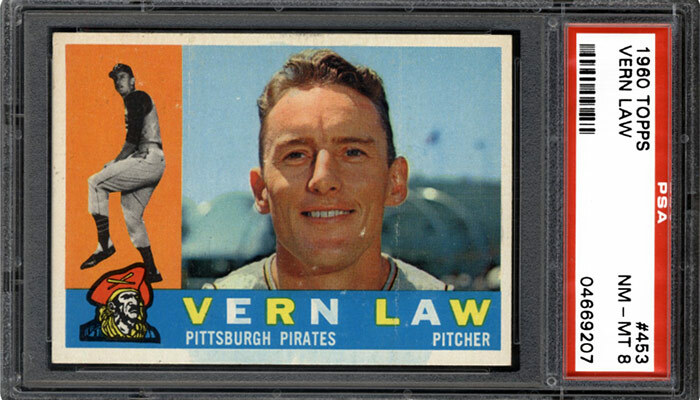 During his playing career, Vern Law earned the nickname “Deacon” for his clean Mormon lifestyle. Nicknamed the “Preacher” by his teammates because of his deep religious beliefs. He was largely responsible for the Pirates’ World Championship in 1960. 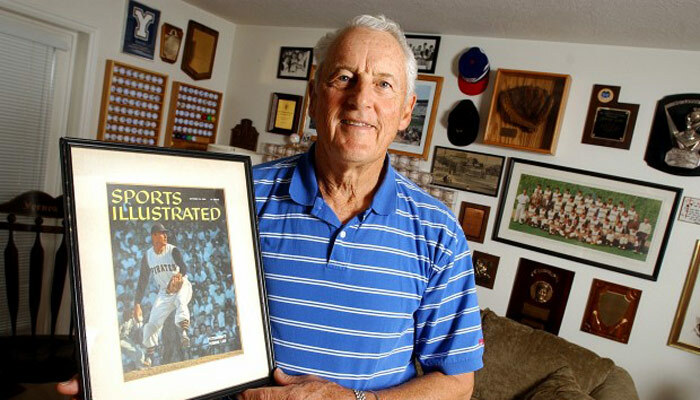 Legend has it that while Law was on the bench, his teammates in the dugout regaled the umpire with profane language. Knowing Law and his convictions, the umpire approached him and said he didn’t belong in the company of those men that day and sent him to the showers. 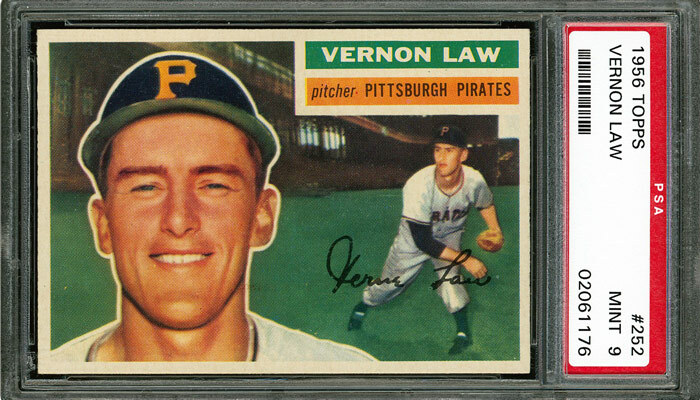 Vernon Law was a big reason the Pittsburgh Pirates took the National League Pennant in 1960. He won the Cy Young Award that year with a 20-9 record and 18 complete games. Physical problems in 1963 forced him on to the voluntary retired list. 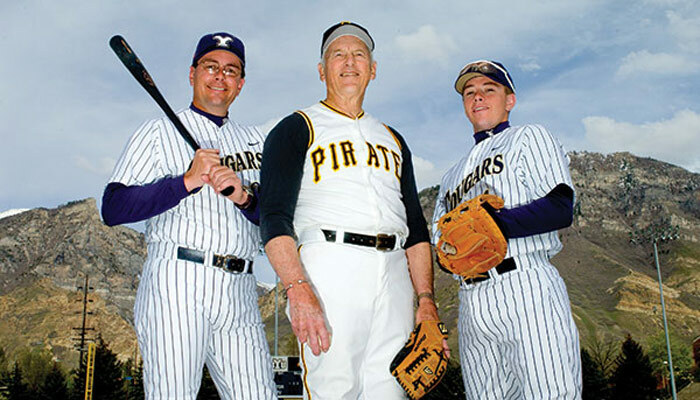 He made a surprising comeback in 1964 and in 1965, at age thirty-five, Vern led the Pirates with 17 wins and a 2.15 ERA. He received the Lou Gehrig Memorial Award as comeback player of the year. Vern and his wife, VaNita, had six children: Veldon, Veryl, Vaughn, Varlin, VaLynda, and Vance. 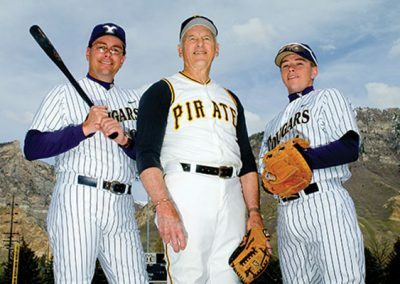 On a sidenote, Vance also played in the major leagues and is currently the head baseball coach at BYU. Legend has it that while Vern was on the bench, his teammates in the dugout yelled at the umpire and used profane language. Knowing Vern and his convictions, the umpire approached him and said he didn’t belong in the company of those men that day and sent him to the showers. If you don’t play to win, why keep score? 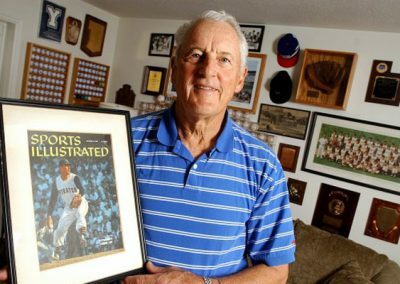 Vern received attention from the major leagues when he was playing in American Legion tournaments. Word traveled quickly about the talented pitcher from Idaho and nine major league teams sent scouts to watch Vern. As the scouts showed up at the Law home in Meridian, Idaho, team representatives usually showed up smoking cigars. The Law family was turned off by the scouts’ smoking habits. However, when the Pirates’ team executives showed up at the house, they weren’t smoking cigars. Instead, they brought chocolates and roses for Vern’s mother. Then halfway through their presentation, the phone rang. On the other end of the line was singer and movie star Bing Crosby, who was the vice president of the Pirates at the time. 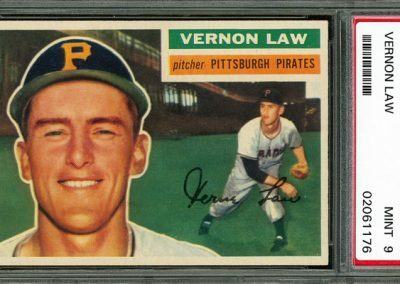 Vern said of the experience, “My mom about fainted.” Not surprisingly, Vern signed with the Pirates. 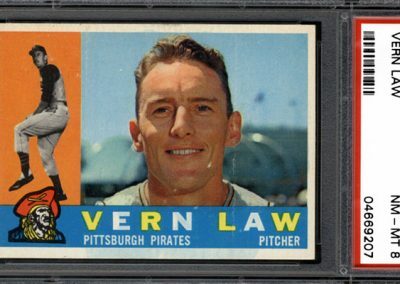 Vern found out years later that the Pirates had certainly done their homework on Vern’s religious beliefs. They had given all the other team representatives the cigars so the Pirates would be looked at favorably by the Law family. During his major league career, he struck out 1,092 hitters and walked 597 in 2,672 innings.